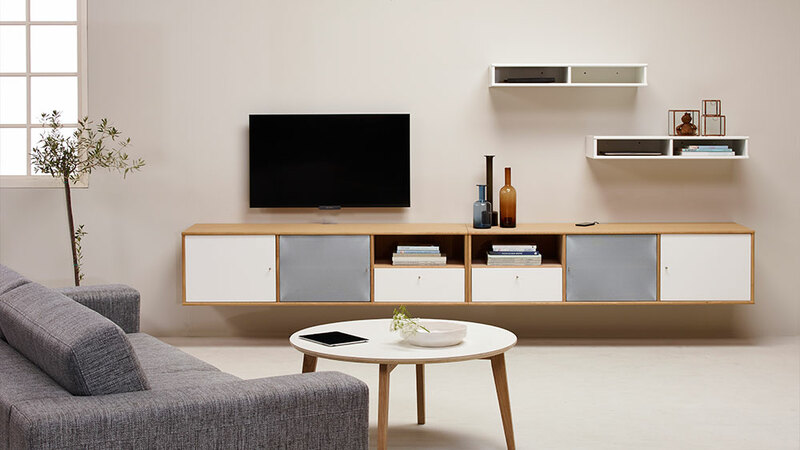 MISTRAL Danish manufactered furniture of high quality. 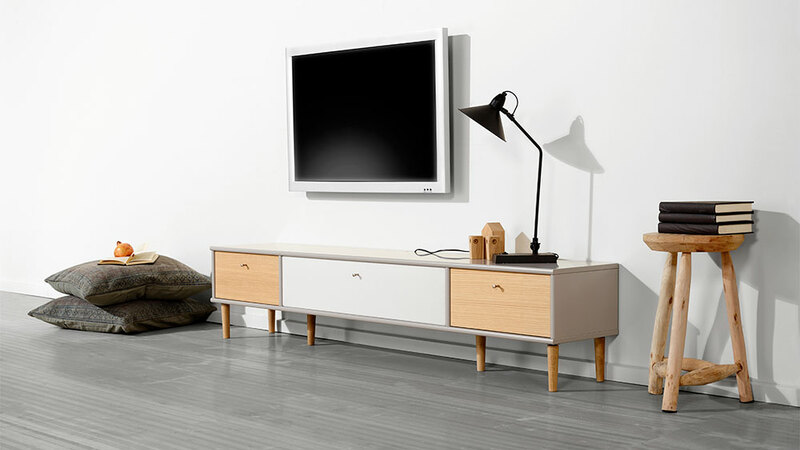 MISTRAL is Danish design, produced and assembled in Denmark. 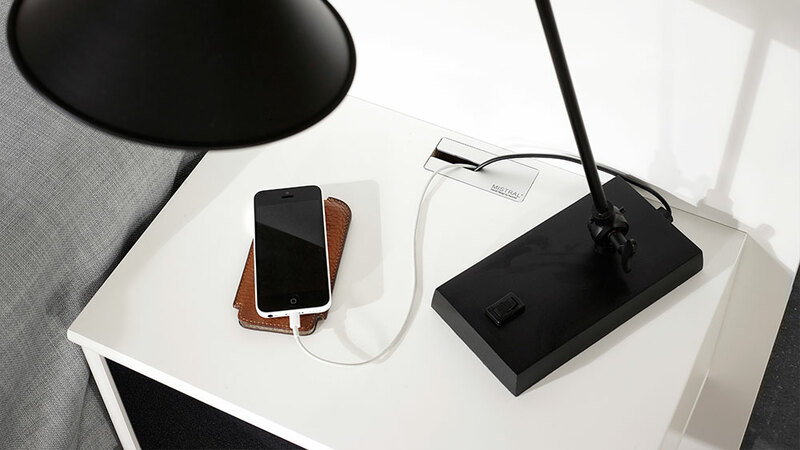 MISTRAL - all your life - everywhere in the home. 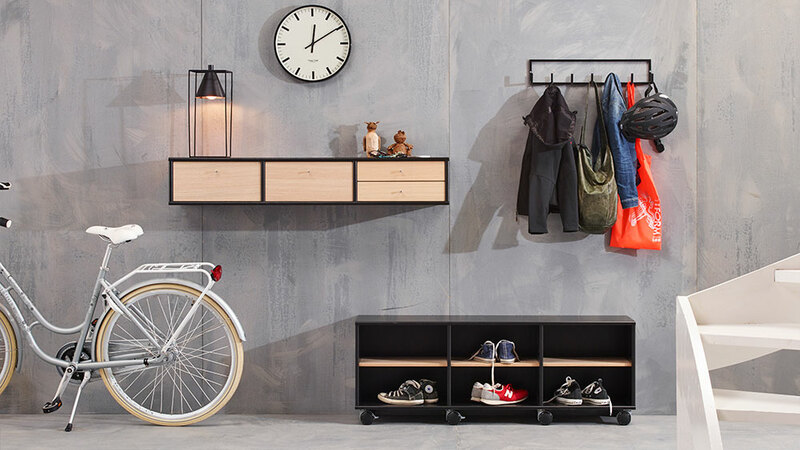 MISTRAL cabinet 132 in smoked oak mounted with castors No. 184, in smoked oak cabinet No. 2x051+2x031 with plinth No. 281, fabric fronts in anthracite 1x357+2x367+2x157. 2 hanger rails No. 204. 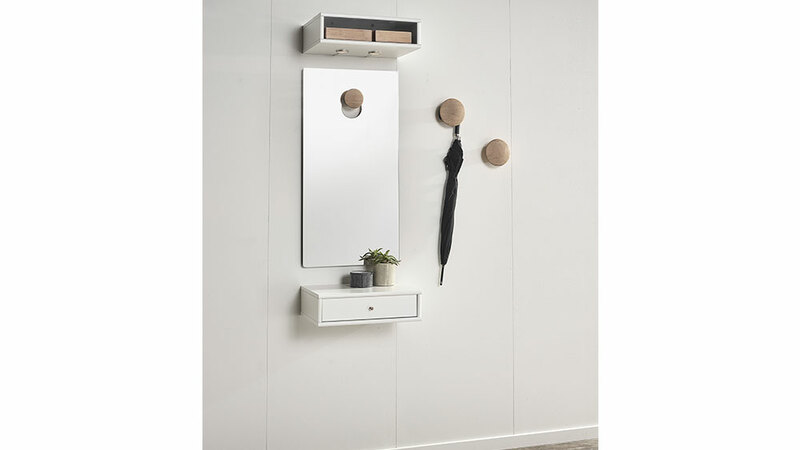 Mirror 156 on hanger 202 in copper, white chest with drawers 405 mounted with white wooden legs No. 163. 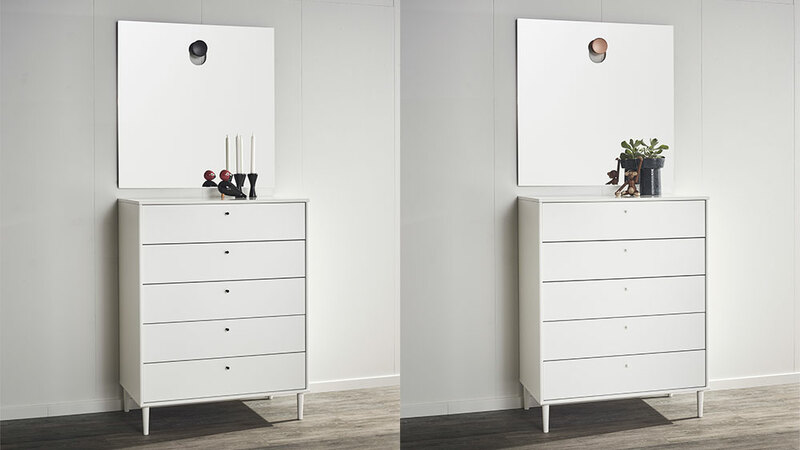 Left side: Mirror 156 on black hanger 202, chest of drawers 405 mounted on wooden legs 163. Right side: Mirror 156 on copper hanger 202, chest of drawers 405 mounted on wooden legs 163. Mirror 155 with hanger 202 in oak, at the top cabinet 036 with 2 LED Spot No. 916, 2 big hangers 202 in oak at the wall and under the mirror cabinet 036 with drawer 136. 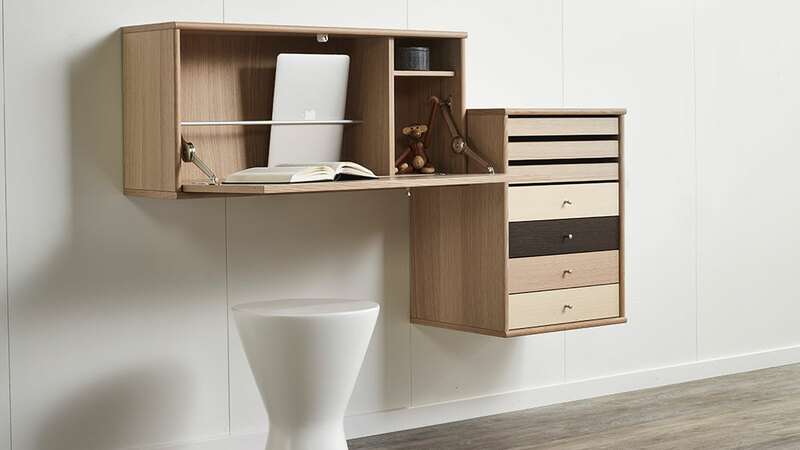 MISTRAL desk cabinet No. 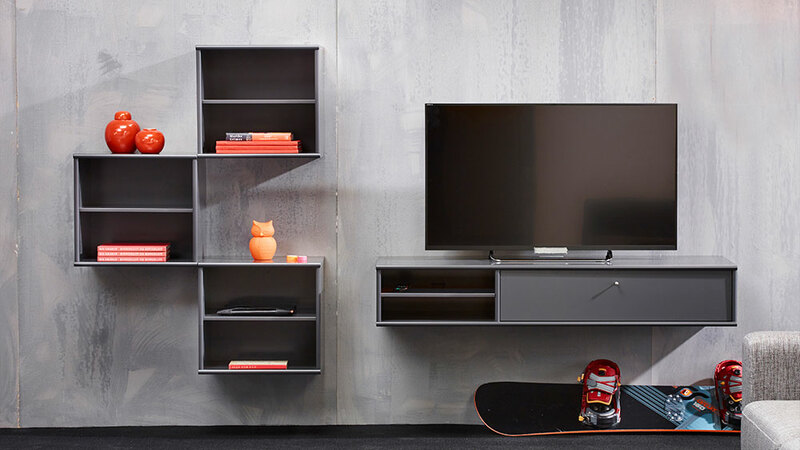 053 with flap, shelf, metalholder, fixed divider and hole in the bottom for cables. 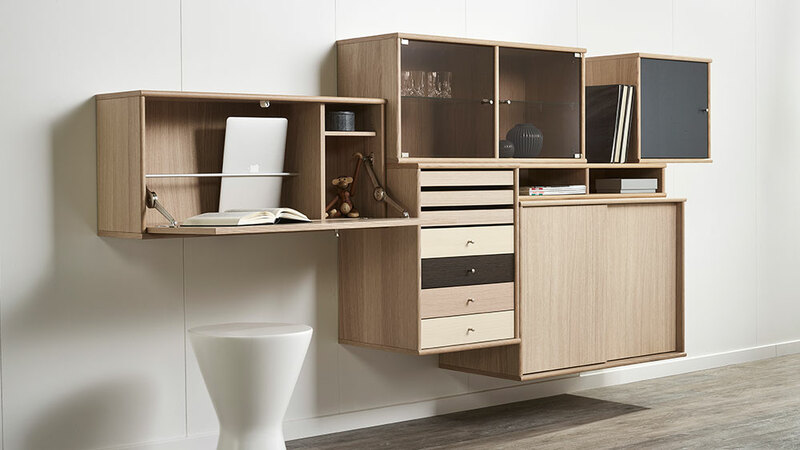 Available in all MISTRAL colors and veneers. 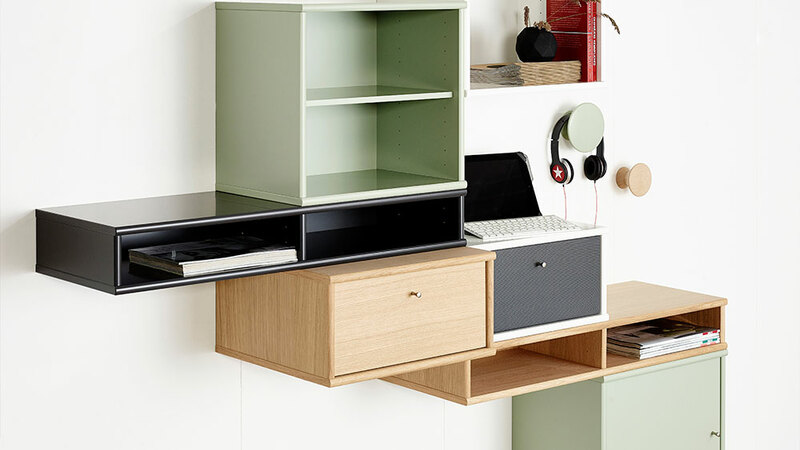 MISTRAL desk cabinet No. 053 and 2 book cases No. 025 i white. Her shown with 2 set of doors No. 065 in dusty green. MISTRAL 053 + 2x025 + 1x114 all in white. 2 sets of doors 065 in black and 2 drawers also in black. 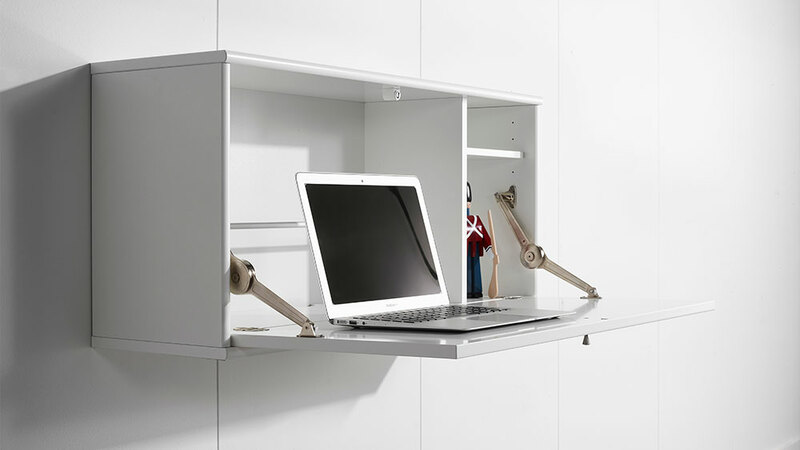 MISTRAL cabinet desk No. 053 and cabinet 011 with fronts. In whitepigm. oak matt lac. 1x172 set of trays + 1x136 drawer. 2x136 in soap beech and 1 drawer 136 in smoked oak. 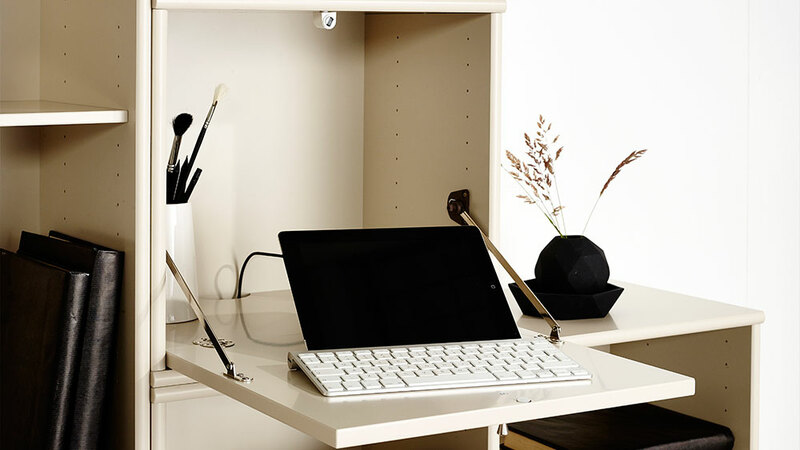 MISTRAL cabinet desk No. 053 and cabinet 011 with fronts. In whitepigm. 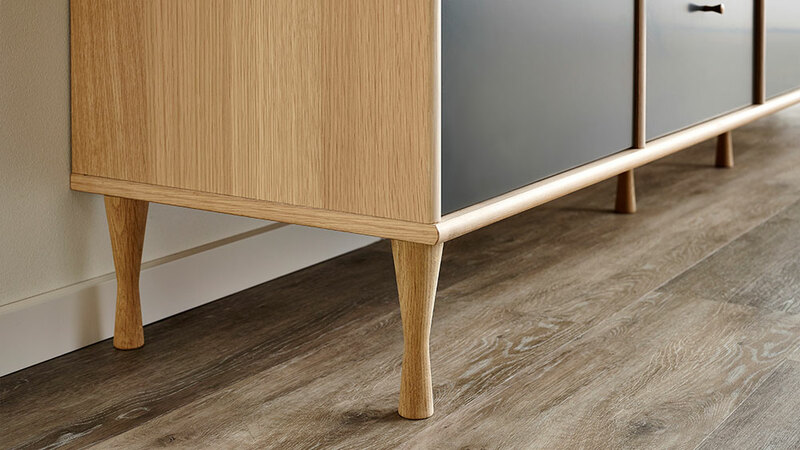 oak matt lac. 1x172 set of trays + 1x136 drawer. 2x136 in soap beech and 1 drawer 136 in smoked oak. Cabinet 006 with sliding doors in whitepigm. oak matt lac. 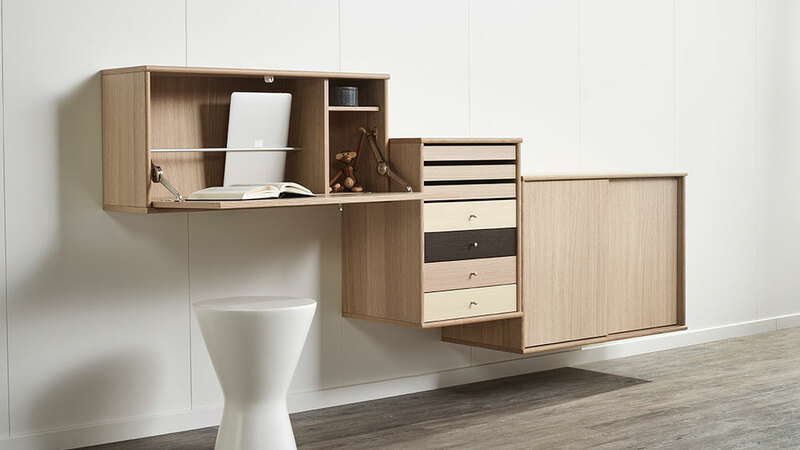 MISTRAL cabinet desk No. 053 and cabinet 011 with fronts. In whitepigm. oak matt lac. 1x172 set of trays + 1x136 drawer. 2x136 in soap beech and 1 drawer 136 in smoked oak. Cabinet 006 with sliding doors + 1x043 cabinet with glass shelves and glass doors + 1 cabinet 037 + 1 cabinet 051 in whitepigm. oak matt lac.Cabinet 051 with fabric door 357 in anthracite. MISTRAL No. 111 in snowhite with 3 high wood doors No. 066 in smoked oak and 2 drawers 073 also in smoked oak. In the middel a door in smoked glass No. 069 with a glass shelf behind No. 088. Mounted on snowhite legs no. 189. 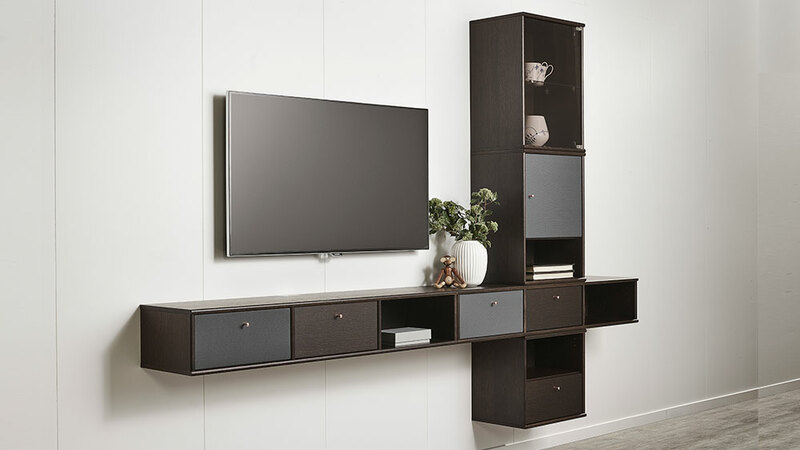 MISTRAL AV cabintes 3x033 with 3 flaps mounted on plinths 3x282 in cappuccino. 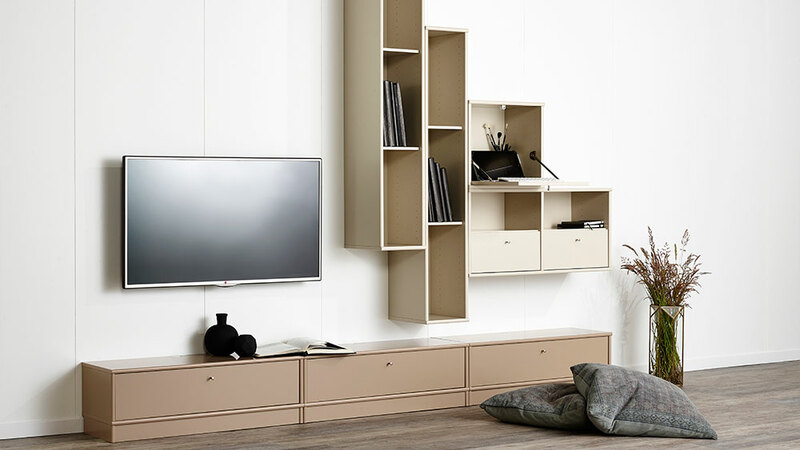 In beige you see the horizontals cabinets 2x131 with extra shelves 134. Next to 131 cabinets 052 + 041 with drawer No. 137. MISTRAL cabinets 3x104 in pure white, doors in pure white 3x126 and in anthracite 2x126 and drawers 2x137 + 4x136. 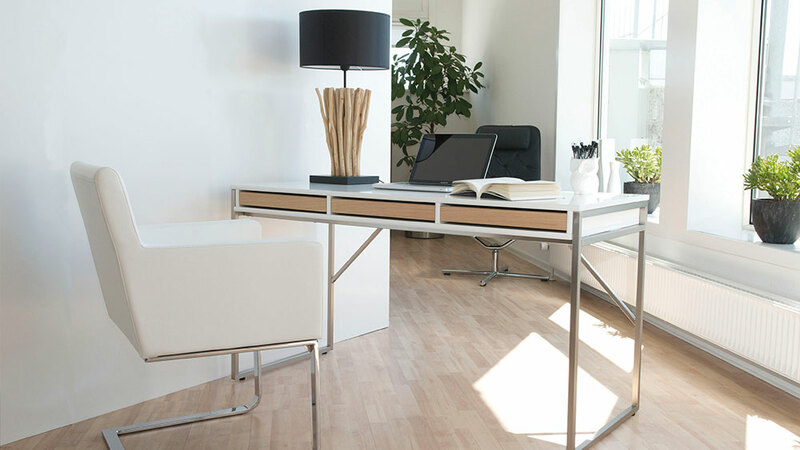 MISTRAL desk 301 in pure white with trays 172 in soap treated beech. 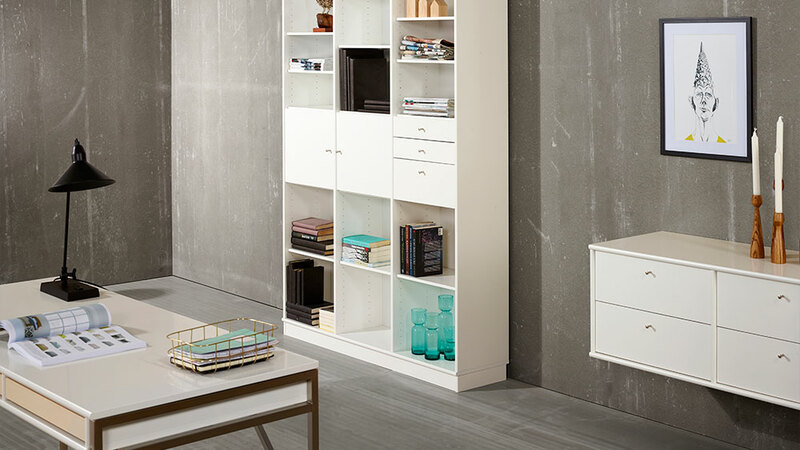 Bookcase in 3 sections in pure white with doors 2x136 and drawers 2x137 + 2x136 and plinth 280. AV cabinet 222 with 4x270 drawers in pure white. 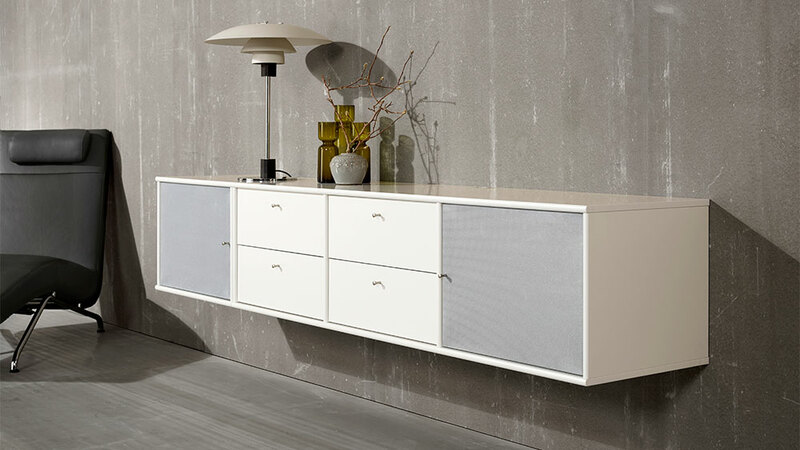 MISTRAL sideboard No. 111 in whitepigm. matt lacquered oak with fronts in anthracite. Doors 3x066, drawers 5x073 and trays 172. Legs in oak 192. Hanging cabinets 051+AV 032 with fabric flap 157 in anthracite, in dusty green 051+small desk 052+hange 201, in anthracite 037, in whitepigm. matt lacquered oak is 037+AV 032 with drawer 137 + hanger 202. 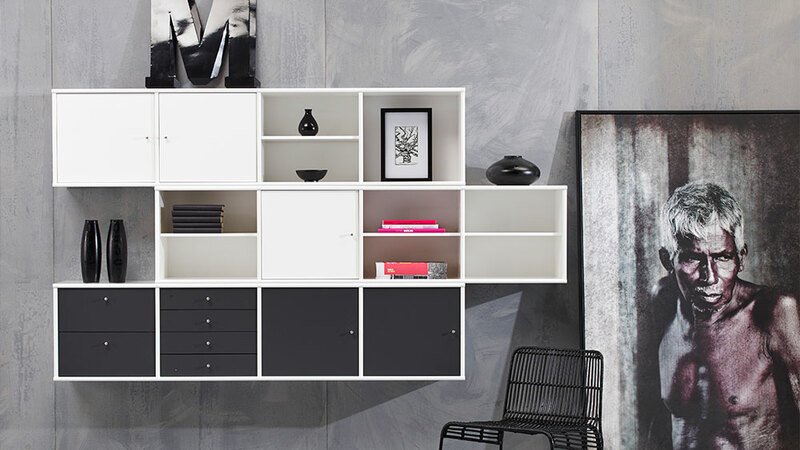 MISTRAL cabinet 111 in whitepigm. 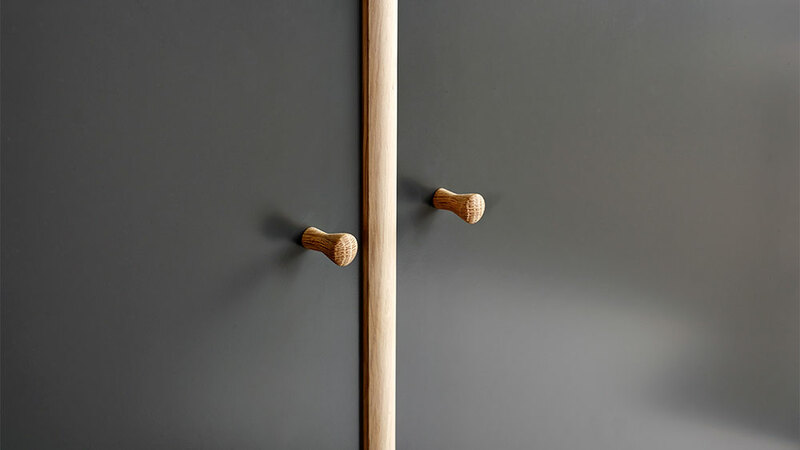 matt lacquered oak with fronts in anthracite. Doors 3x066, drawers 5x073 and trays 172. Legs No. 192 in oak. 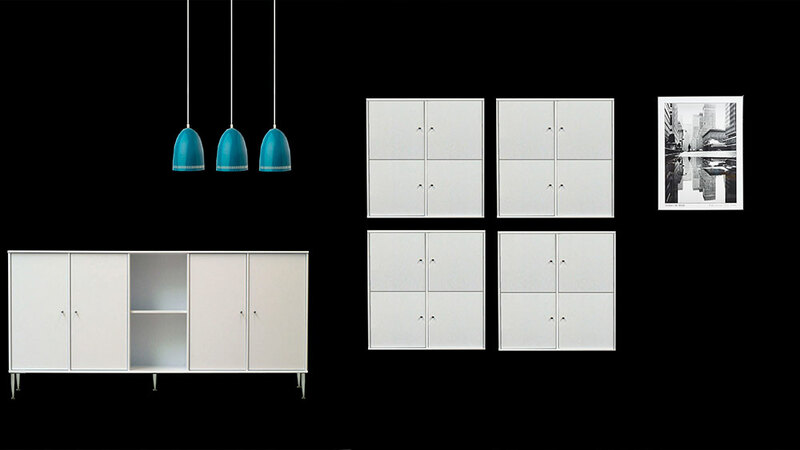 MISTRAL cabinets 2x021 + 031 with doors 2x066 + 2x126 and drawers 2x137 all in pure white. 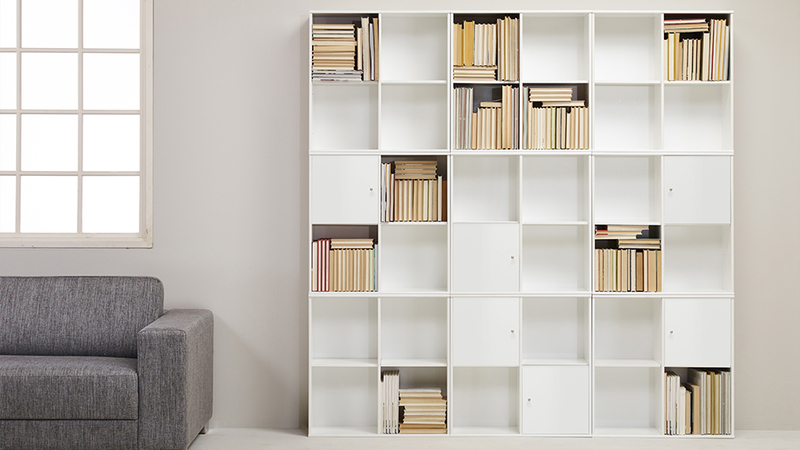 MISTRAL bookcases 3x025 + 3x065 set of doors in bordeaux. MISTRAL cabinets 3x041 with drawer 137 and door 126. In anthracite. 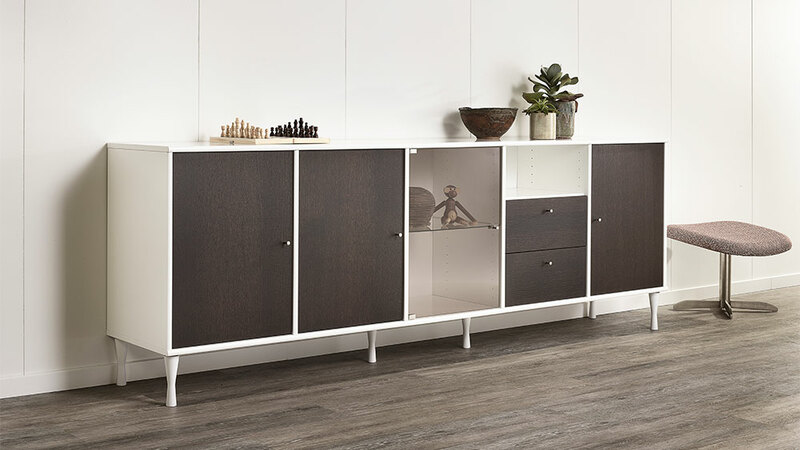 MISTRAL cabinet 110 with 2 doors No. 066 and drawers 2x071 + 2x073. All in anthracite. Legs of steel No. 179. 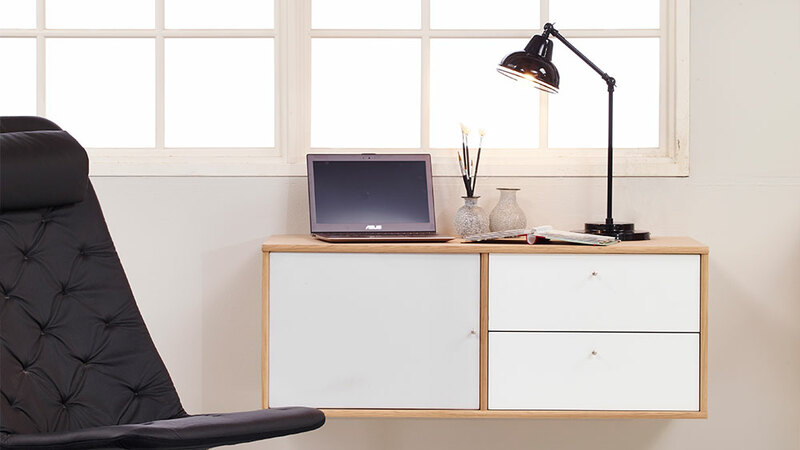 MISTRAL desk 301 with red trays 172. MISTRAL hanger 201 in dusty green. 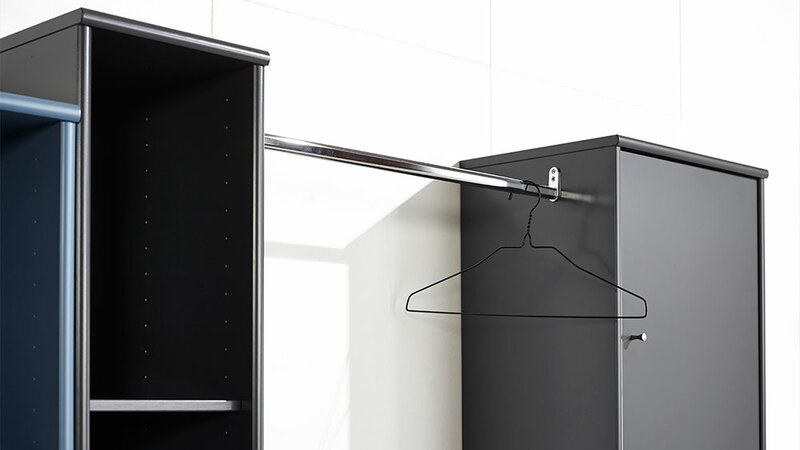 Hangers are available in all colors. 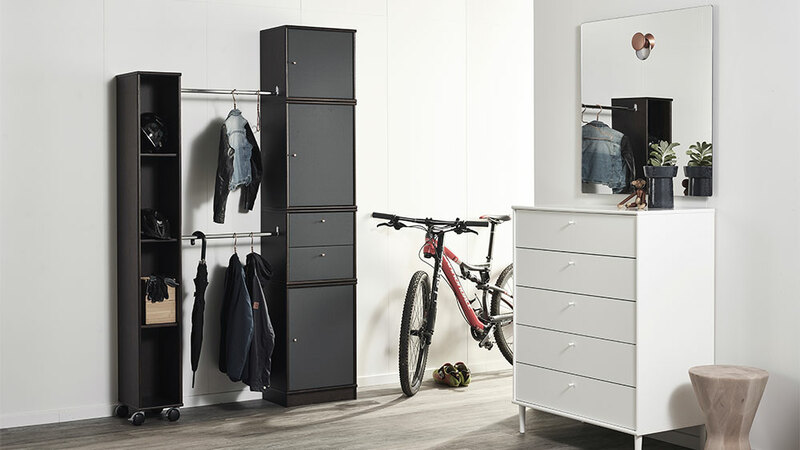 MISTRAL dresser 406 in pure white with wooden legs in black No. 162. The dresser is delivered with 6 drawers. Available in pure white. MISTRAL dresser 406 delivered with 6 drawers and plinth. Available in pure white. 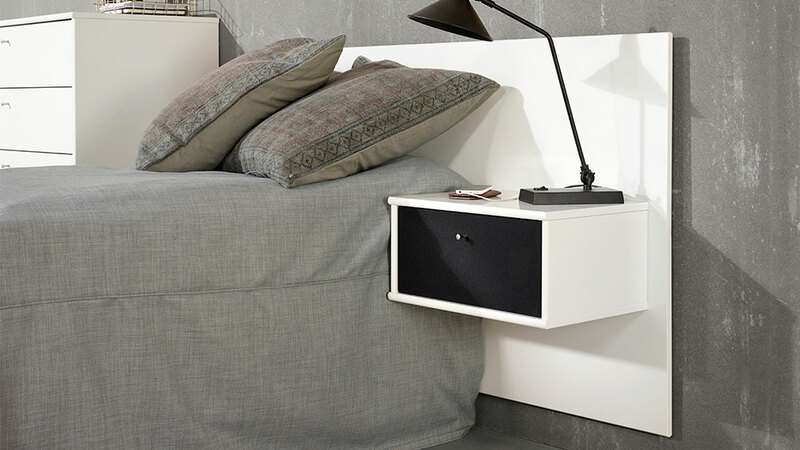 Shown behind is the head board 189 and as bedside table AV 032 with fabric flap 153 in silver. MISTRAL 204 mounted between 2 MISTRAL cabinets. 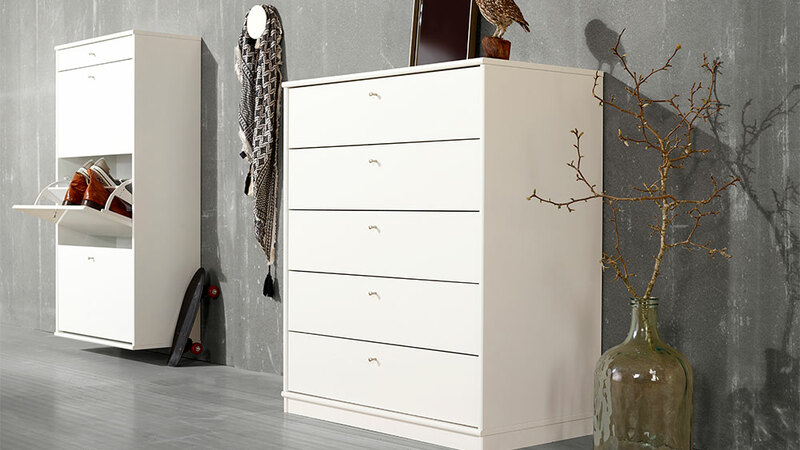 MISTRAL dresser 405. The dresser is delivered with 5 drawers and a plinth. Shoe cabinet 003. Both available in pure white. 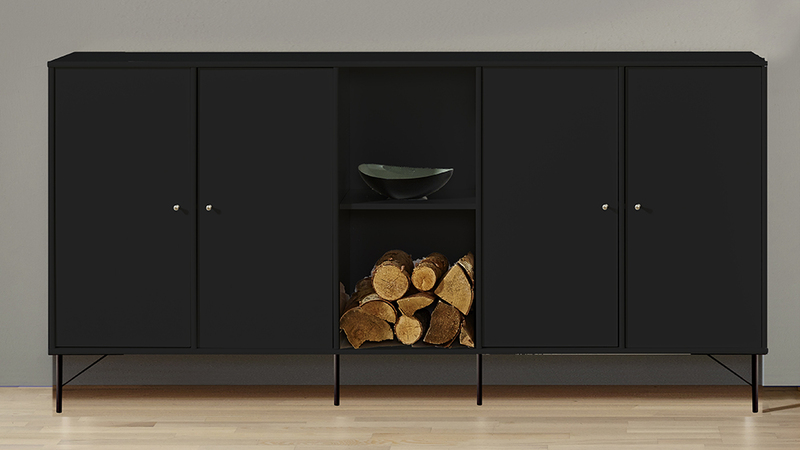 MISTRAL cabinet 114 in black stained with drawers in lacquered beech 2x137 + 2x136. 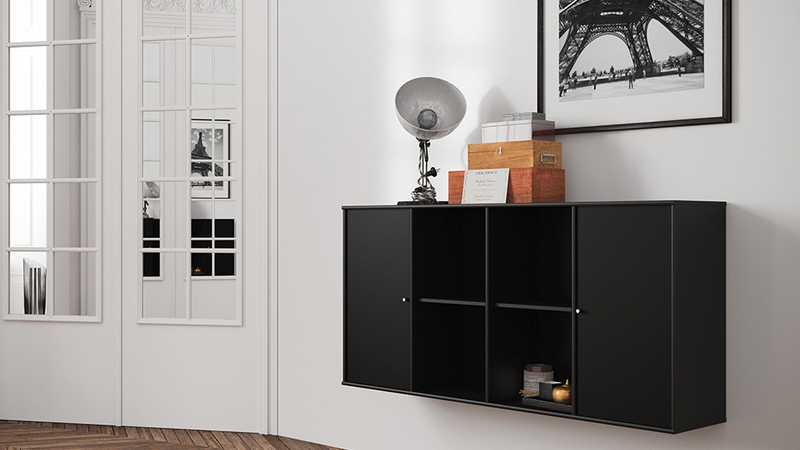 Cabinet 113 in black stained with 3 shelves in lacquered beech and with castors 180. 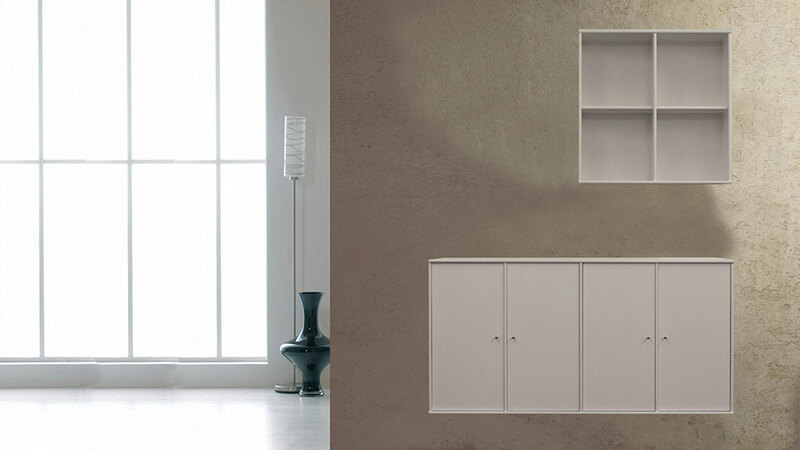 MISTRAL shoe cabinets 4x003 in pure white. The shoe cabinet has 3 shoe drawers and at the top a drawer. 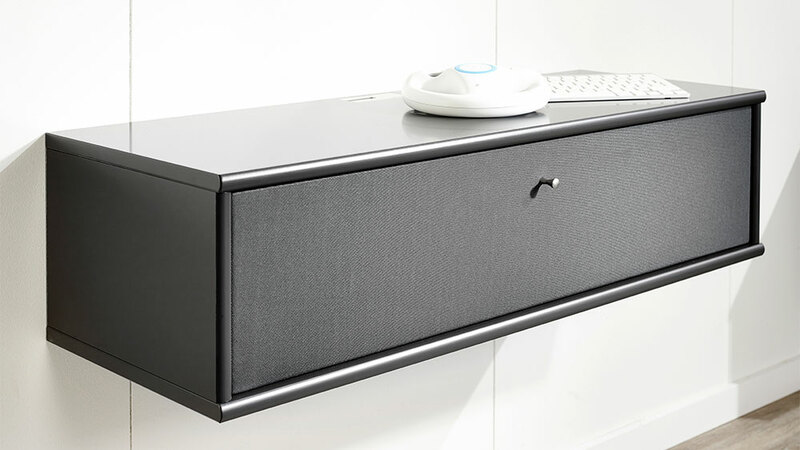 MISTRAL head board 189 with AV cabinet 032 mounted with a black fabric flap 152. Behind the dresser No. 405. MISTRAL head board 189 in blue with AV 032 and fabric flap 157 in anthracite. 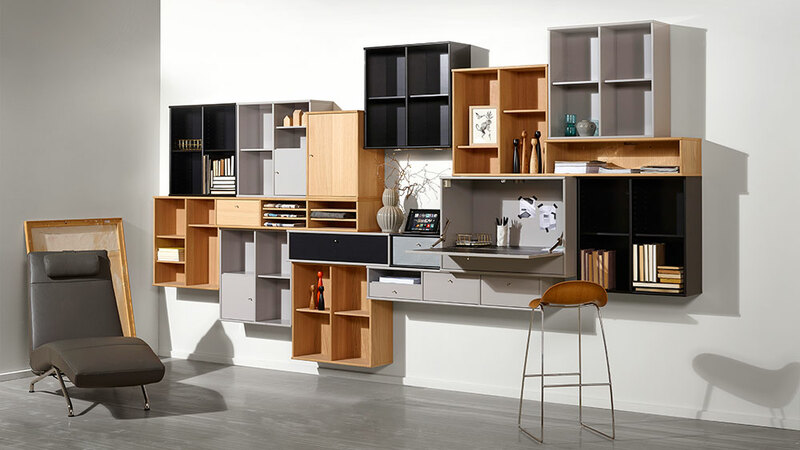 MISTRAL cabinets 3x001 + 011 +3x106 + 038 + drawers 3x076 and trays 172. Plints 3x284 and 283. Everything in whitepigm. matt lacquered oak. 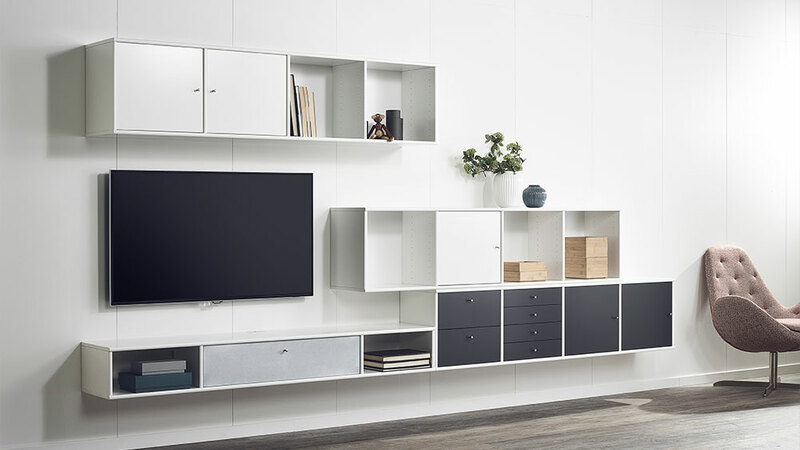 MISTRAL cabinets in light grey 3x025, doors 065, extra shelves 079. In whitepigm. matt lacquered oak 2x025 with extra shelves 079 and cabinet 031. In black lack is AV 032 shown. MISTRAL in whitepigm. matt lacquered oak: 3x025 + 079, 114 +137, 031 + 067, 033 + 4x077. Light grey: 3x025 + 065 + 079, 033, 114 + 2x137 + 136, desk 004. Black lacquer: 3x025, AV 032. Black fabric flap: 142. Silver fabric flap: 153. Driver 929 for 004. MISTRAL cabinets and fronts in whitepigm. matt lacquered 110, 2x011, 107, 006, 113, 114, AV 222 and two drawers 071. 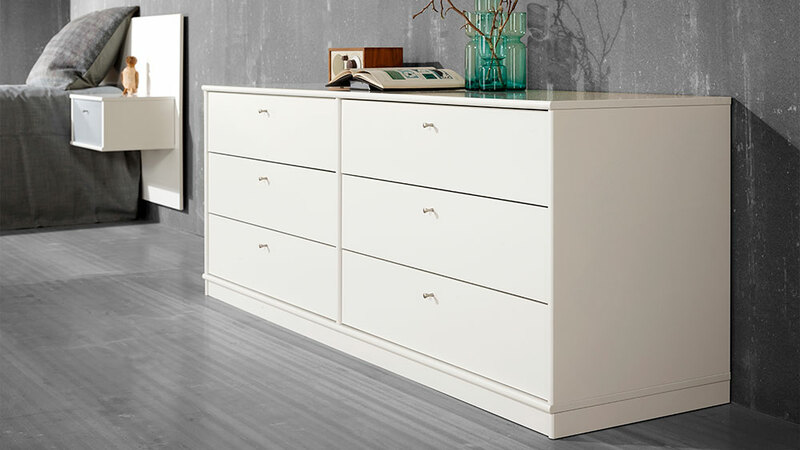 Doors in pure white 2x066, sliding doors 070 for 006, drawers 2x270. Drawers in bordeaux 2x076 and trays 172. White fabric door 261. 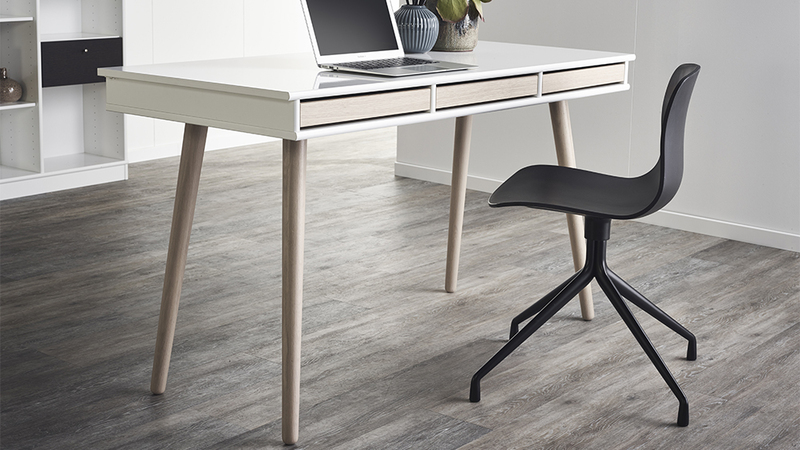 MISTRAL desk 301 in pure white with trays 172 in soaptreated beech. 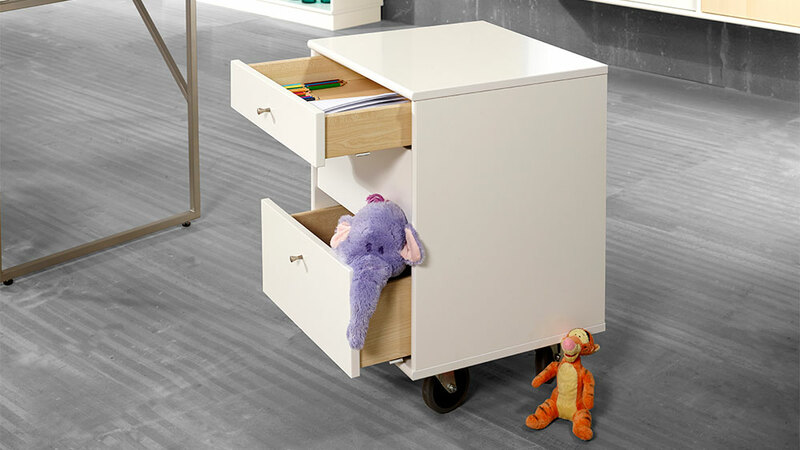 Trolley 002 in pure white with drawers in soaptreated beech 1x071 + 2x073. Castors 180. Left is the bookcase. Right AV cabinet 232 with 4x270 drawers in pure white and door 260 in soaptreated beech. MISTRAL cabinet 002 with drawers 1x073 + 2x071. All in pure white. Castors 180. 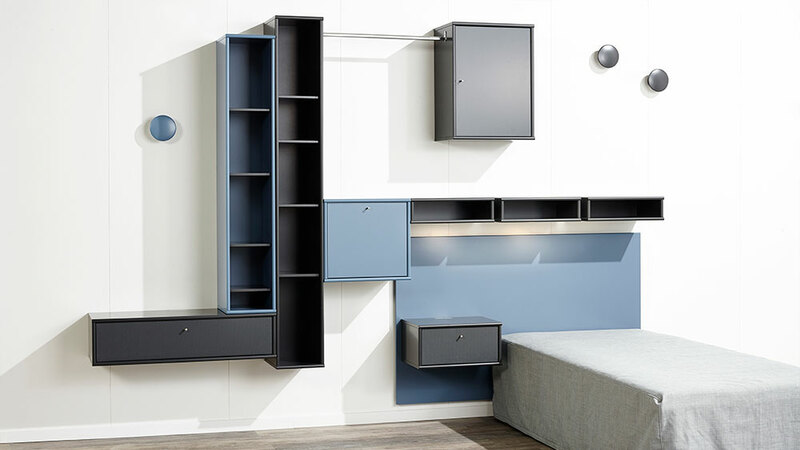 MISTRAL in anthracite: AV 033 + flap 147, 132 + shelves 4x134, AV 032 + flap 157, 031 + door 066, 3x036, 2x201 hangers, 038 + drawers 2x071. 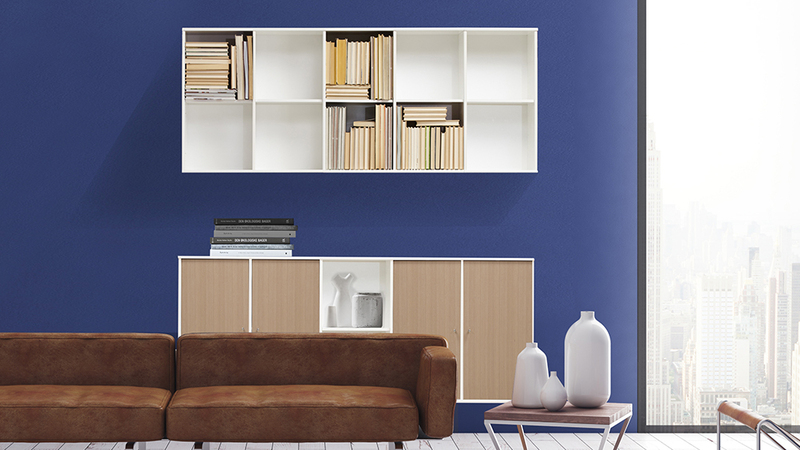 MISTRAL in blue: 131, small desk-cabinet 052, hangers 201 and 202, head board 189. 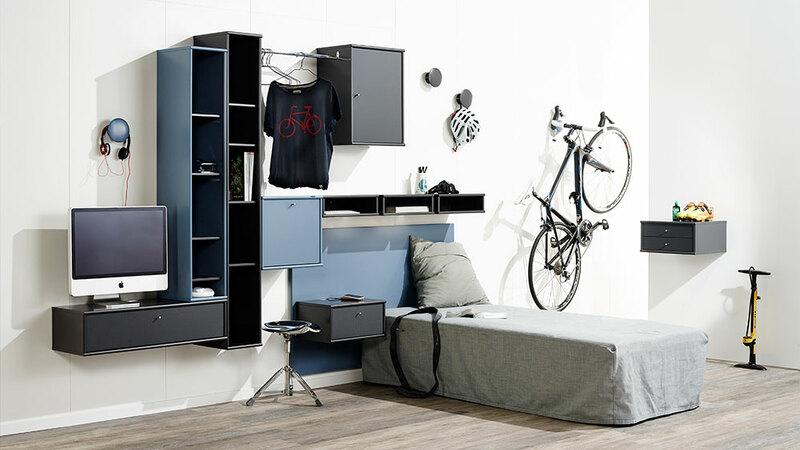 Clothes rack 204. What is your personal look? 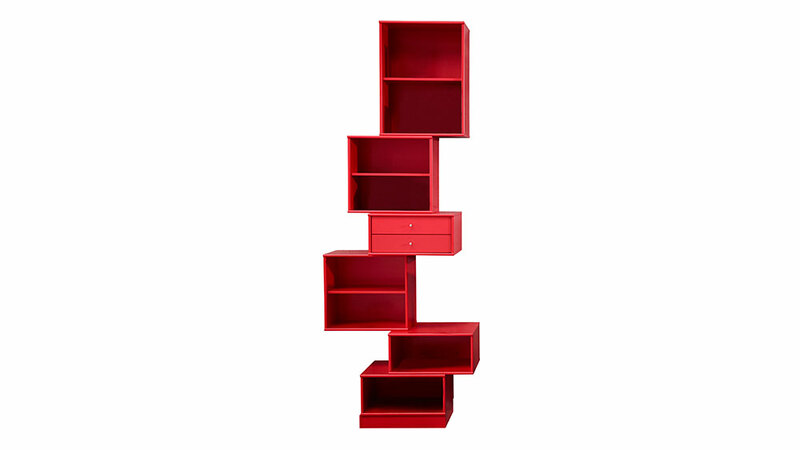 MISTRAL cabinets in red: 3x038 + 2x051 + 031. Drawers 2x071 and plinth 283. MISTRAL KUBUS 1x117 sideboard with doors 4x062 + 3x026 cabinets with doors 2x065. Everything in pure white. 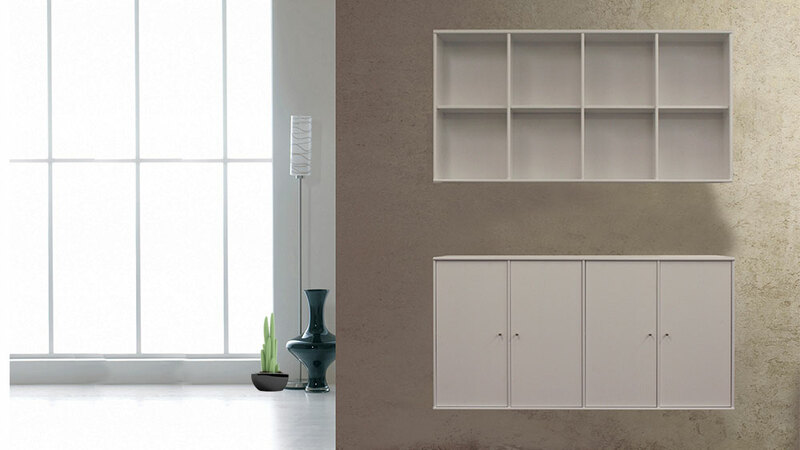 MISTRAL KUBUS 1x116 with doors 4x062 and cabinet 025 in pure white. 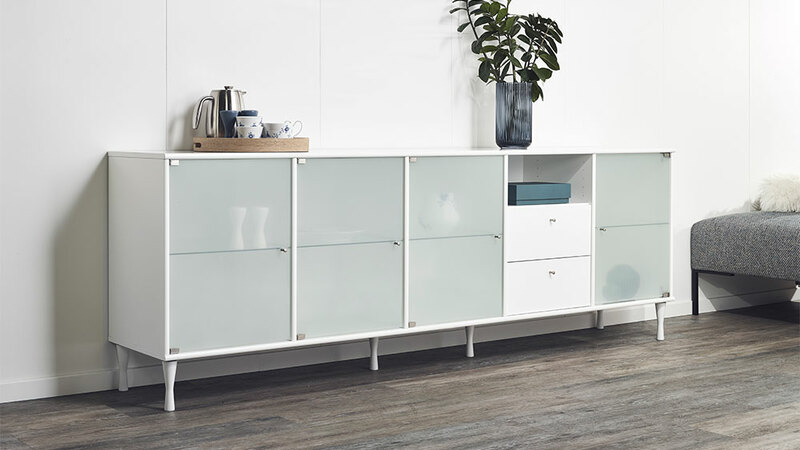 MISTRAL KUBUS in white 1x116 sideboard with 4x062 doors and metal legs 179. MISTRAL KUBUS 1x114 as top cabinet and 1x116 as sideboard mounted with doors 4x062. All in pure white. 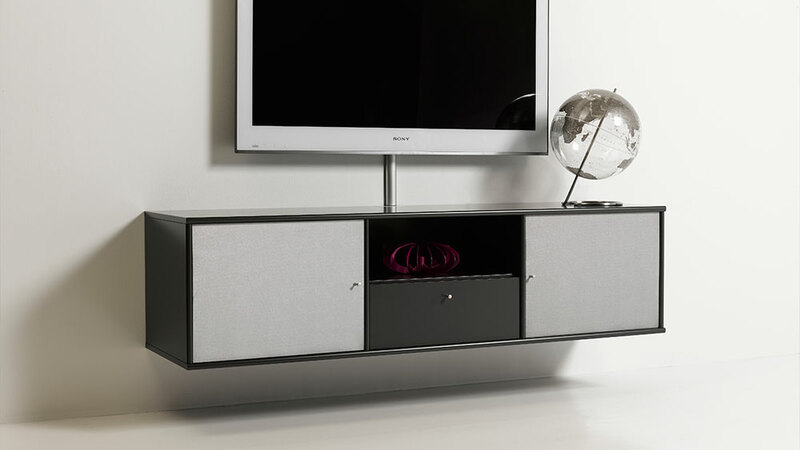 MISTRAL KUBUS 5 sections sideboard No. 117 in pure white with doors 4x062. Metal legs 179. 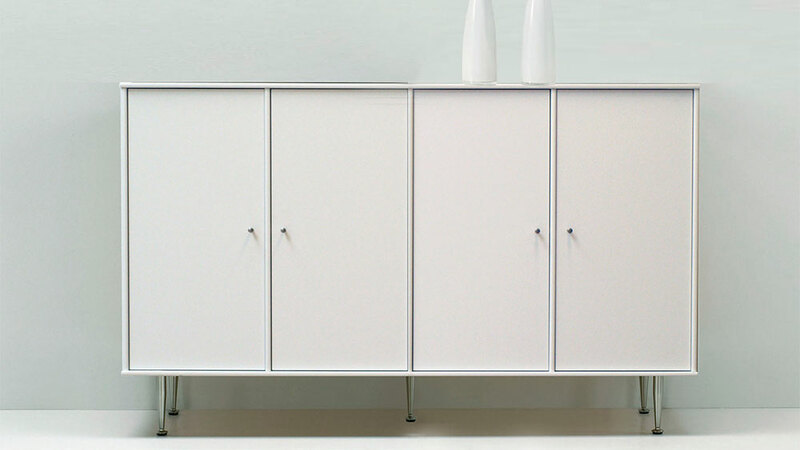 MISTRAL KUBUS sideboard 117 with 4x062 doors in pure white. Metal legs 179. 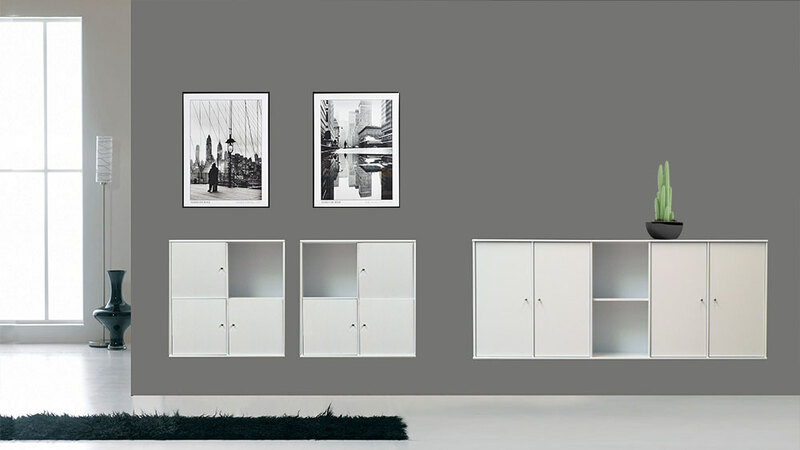 Hanging 4x025 bookcases with doors 8x065 also in pure white. 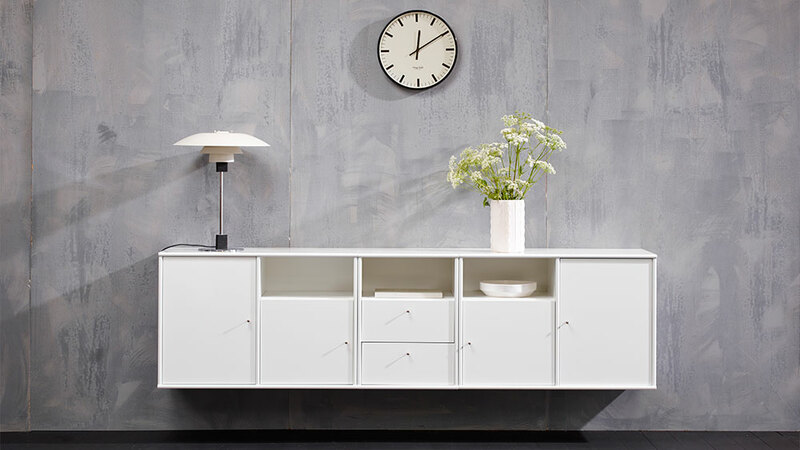 MISTRAL KUBUS sideboard 117 with doors 4x062, wooden legs 164 and 3x025 cabinets in pure white. One set of doors 1x063 in whitepigm. matt lacquered oak. 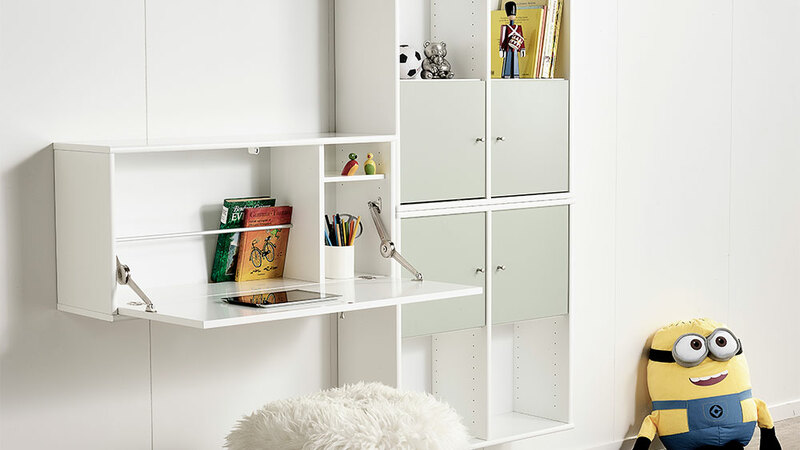 9 x 025 MISTRAL KUBUS bookcases with doors No. 065. All in white. MISTRAL KUBUS in black. 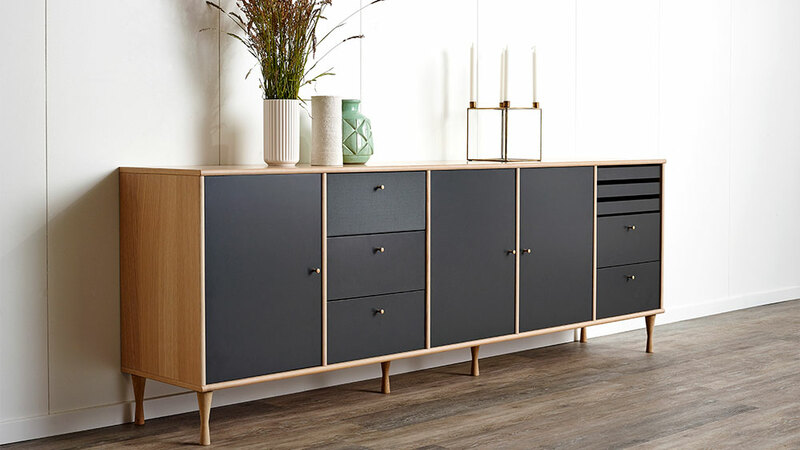 Sideboard No. 117 with 4 doors No. 062. Mounted with metal legs Nr. 174 and 2 supporting legs No. 198. 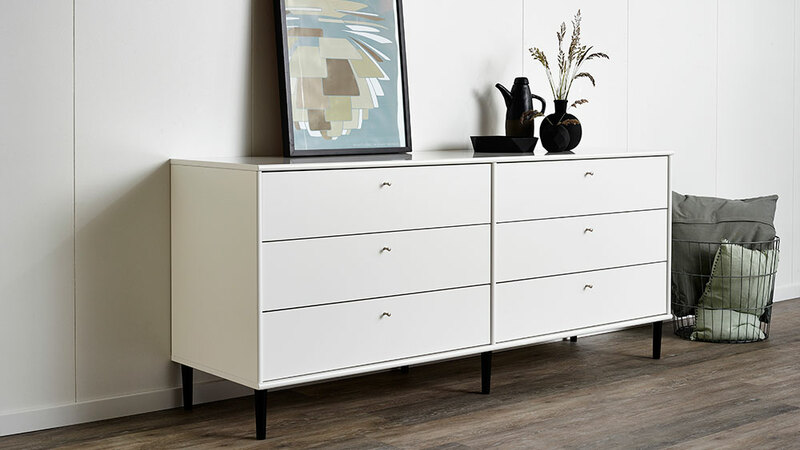 1 x 117 in white as sideboard with 2 dorr-set No. 063 in whitepigm. oak matt lacquered. Wall cupboard No. 117 in white. No. 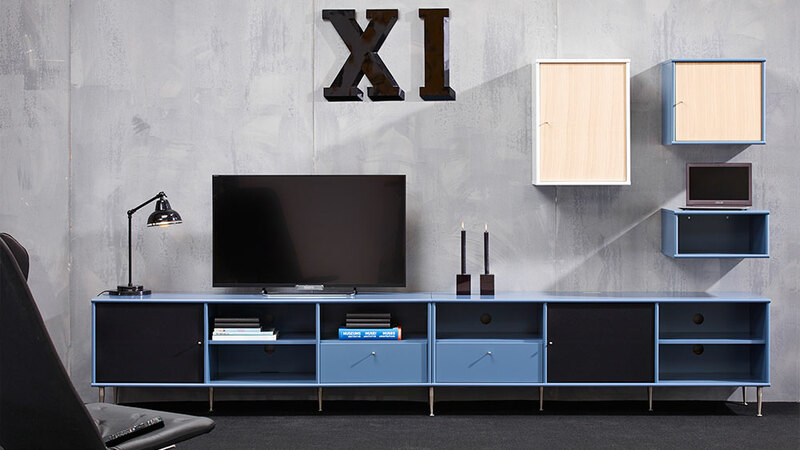 116 as sideboard with 2 doors No. 062. Everything in black. 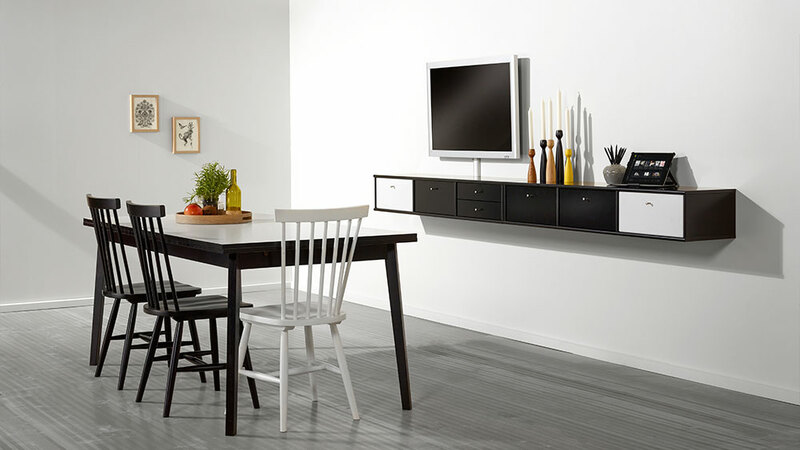 Zoom dining table (with integrated extension plates) No. 066102 in white with chrome legs. 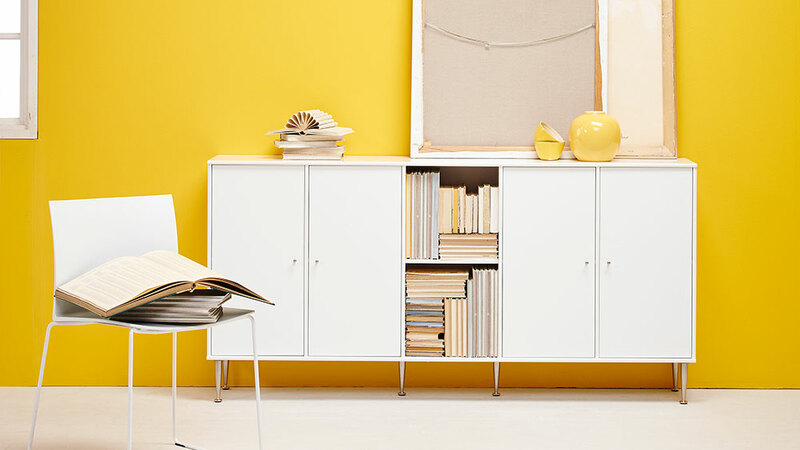 White MISTRAL KUBUS cabinet No. 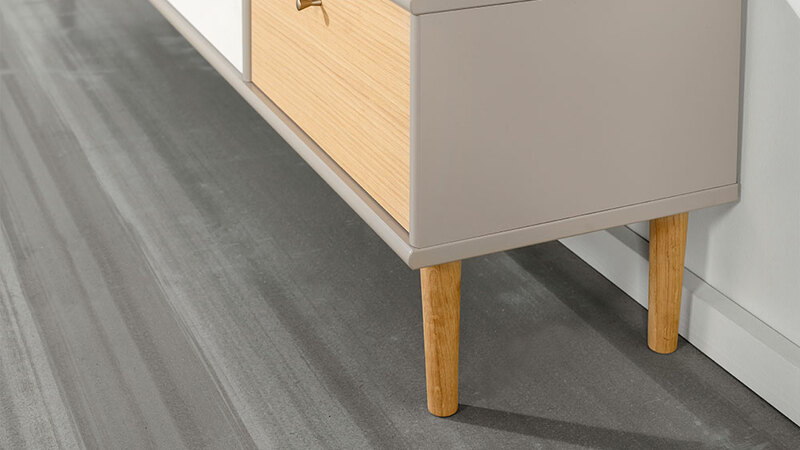 028 and MISTRAL KUBUS sideboard No. 116 in black with black legs No. 174 + 1 supporting leg No. 198.
of massive Wood. 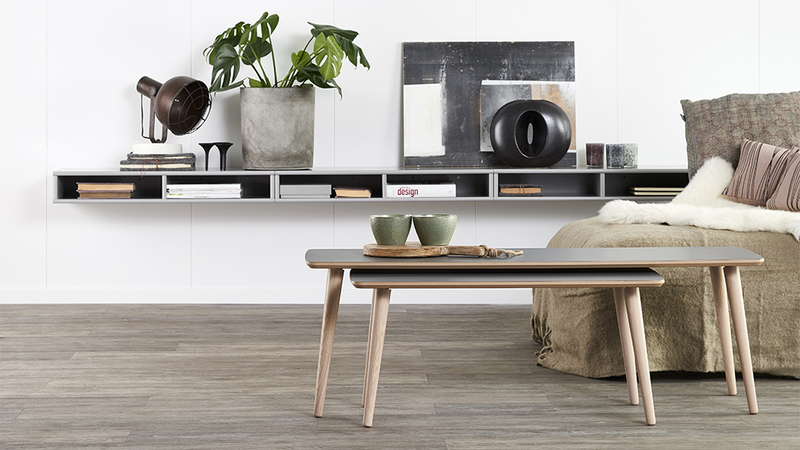 Available in black 161+162, in white 163+164, in white pigmented mat lack oak 165+166 and in untreated beech 167+168. Choose between packages of 4 og 6 legs. Of massive wood. Available in black 181+186, white 182+189, white pigmented mat lack oak 183+192 and untreated beech 185+193. Choose between packages with 4 or 6 legs. 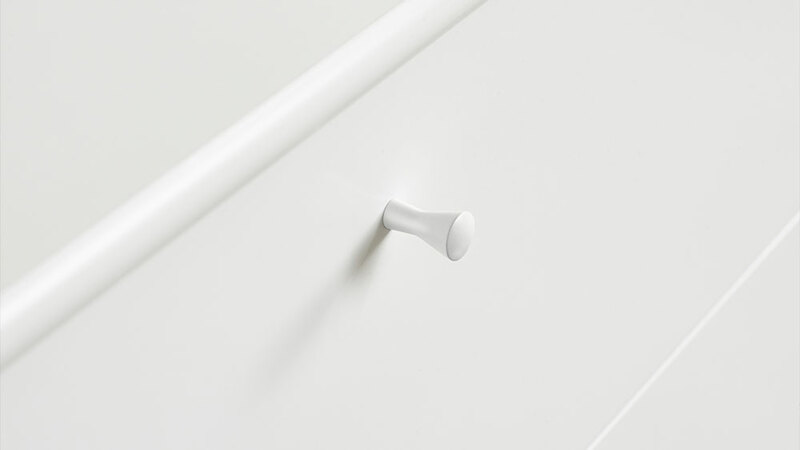 MISTRAL hanger rail can be mounted between two cabintes. L: 60cm can be pushed up to 90cm. Chrome. MISTRAL iconic handle designed by architect Jacob Jacobsen. Article No. 203. Made of massive Wood and available in black, white, whitepigm. matt lacquered oak and lacquered beech. Delivered in bags of 10 units. MISTRAL hangers like a pressed MISTRAL handle. Available in all colors and in 2 sizes Ø13cm and Ø9cm. 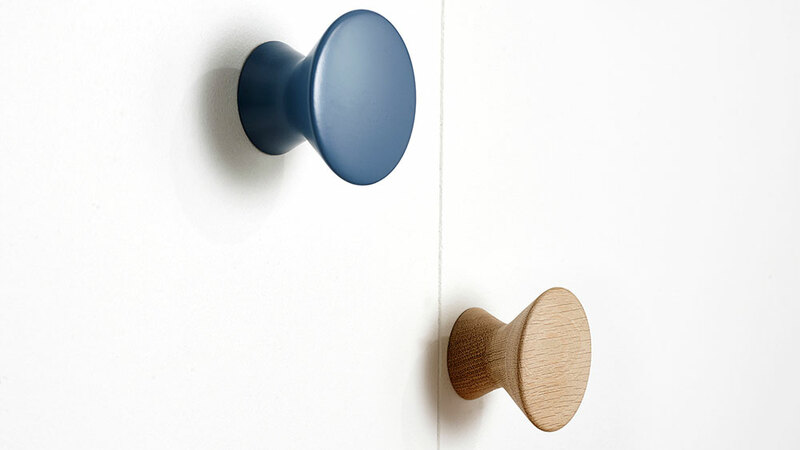 Here shown in blue and oak. Use the for your headphones, in the hall for your jackets, in the bedroom for your neckless etc etc. MISTRAL large hanger 201 in dusty green. Ø13cm. 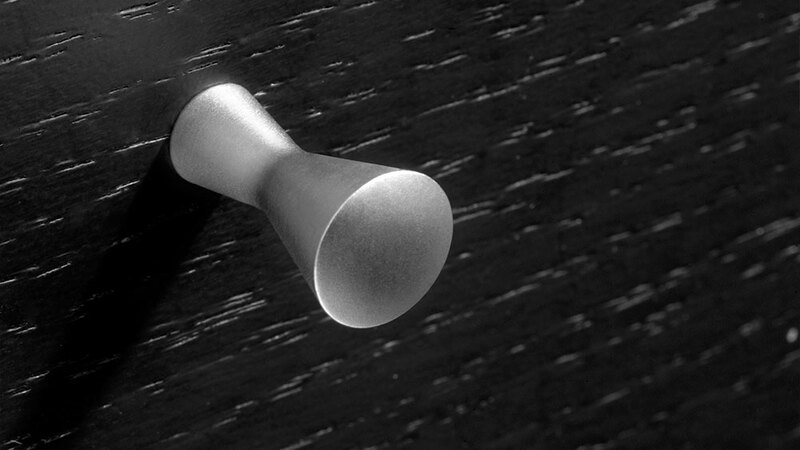 MISTRAL hangers like a pressed MISTRAL handle. Available in all colors and in 2 sizes Ø13cm and Ø9cm. Here shown in black. 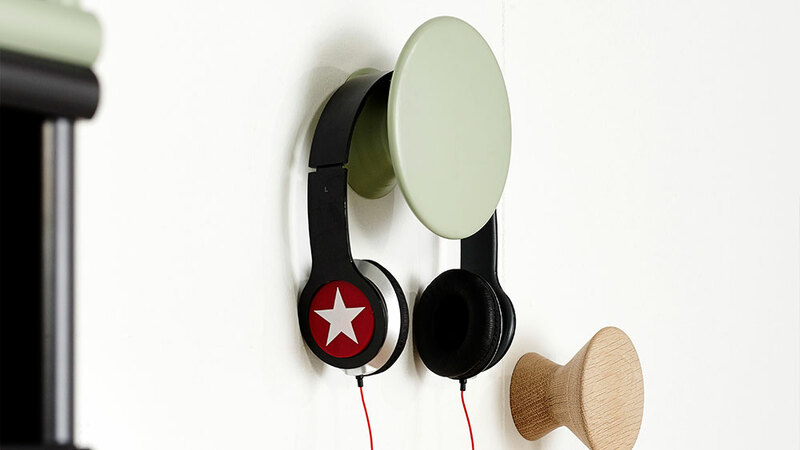 Use the for your headphones, in the hall for your jackets, in the bedroom for your neckless etc etc. MISTRAL metal cover Nr. 298 included in all AV cabinets. You can purchase cover 296 (completly closed) or cover 297 with curved space for cabels. 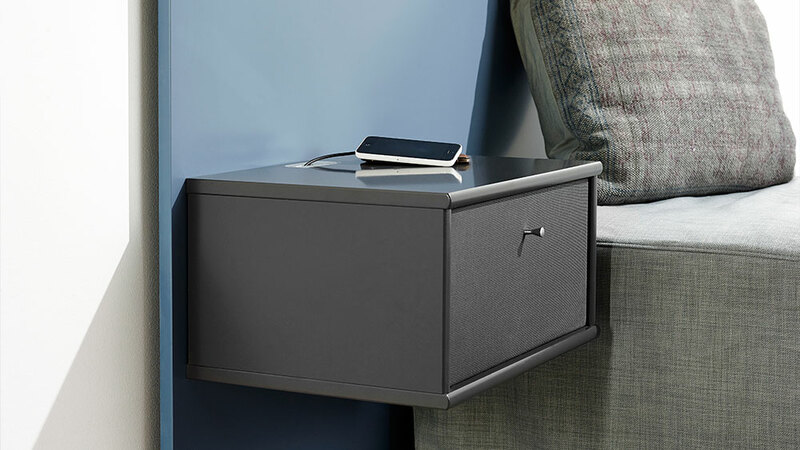 This metal cover is suitable for all AV cabinets. All metal covers comes with MISTRAL logo. The curved cable pad is not a part of our assortment. Designed by the Danish architect Jacob Jacobsen. 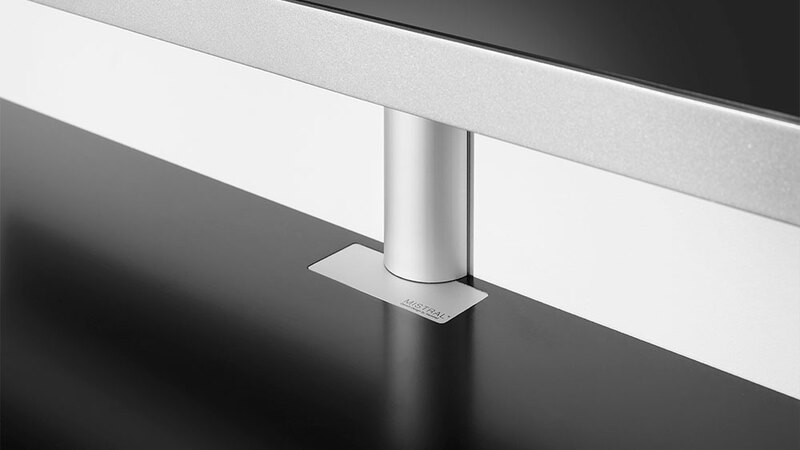 The MISTRAL handle is symbolises everythint that differentiates MISTRAL from alle the others. 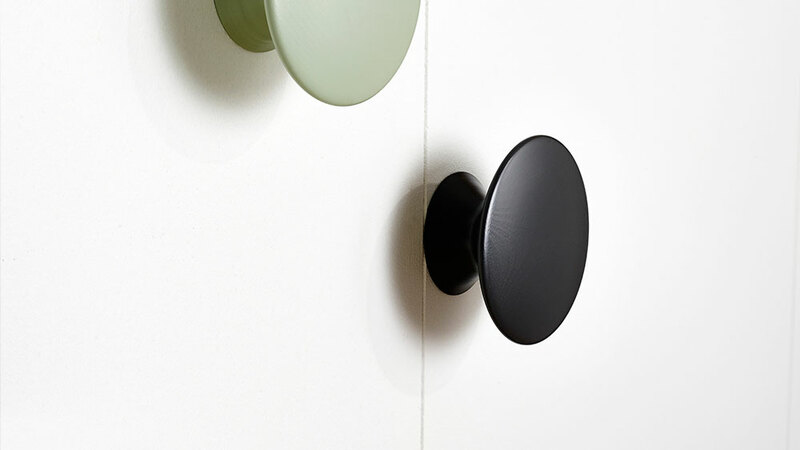 The MISTRAL metal handle are always delivered together with doors or drawers. 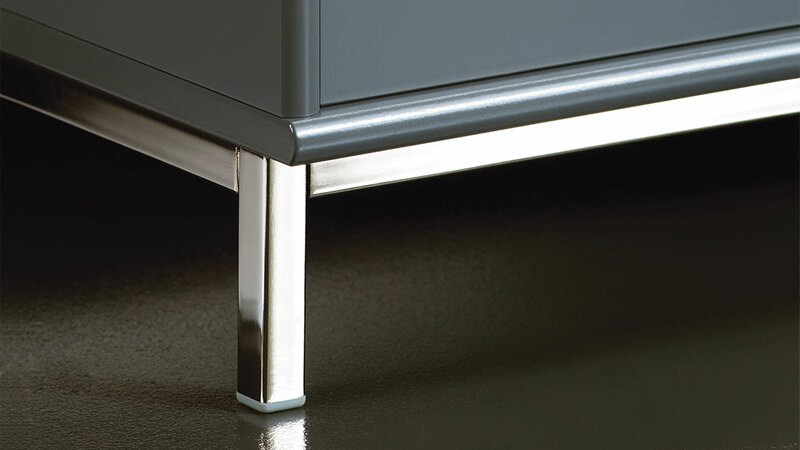 MISTRAL metal plinth in 2 sizes both for cabinets with a depth of 42cm. 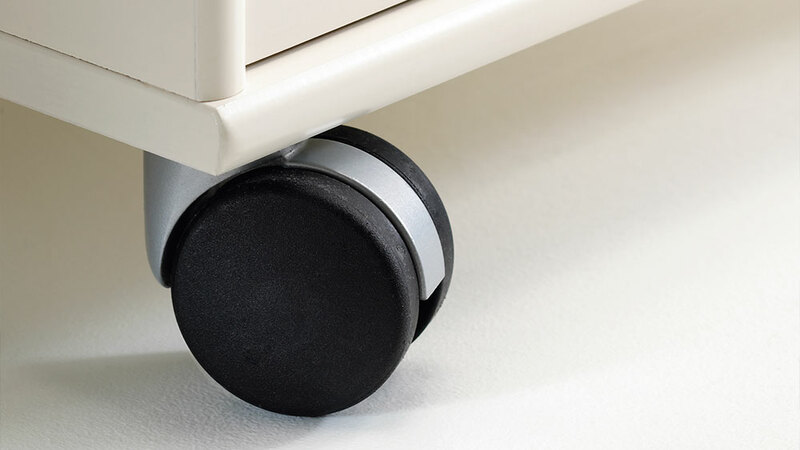 MISTRAL castors in Black. Available in packaging of 4 units, 2 with breakes. Available in two sizes and i the colors graphite and light grey. Graphite is with anti-finger print. Solid legs in whitepigmented matt lacqured oak. Coffee table No. 020910 and No. 020930 both in graphite. Monunted at the wall are 3 cabinets No. 037 also in graphite. 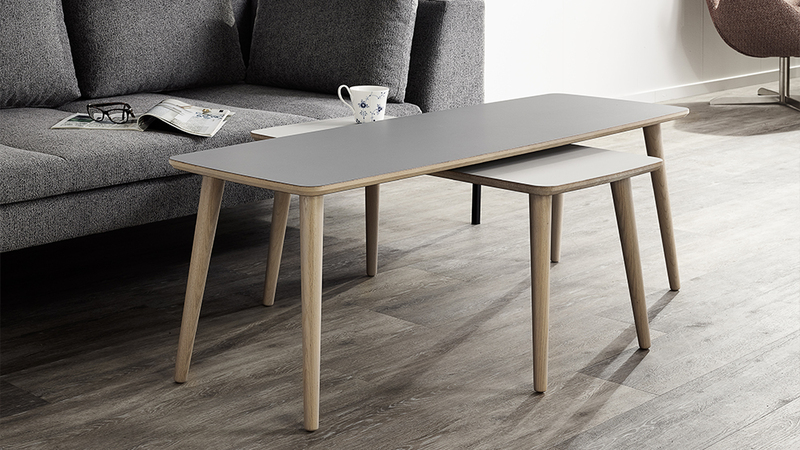 Modern dining table. Available in whitepigm. 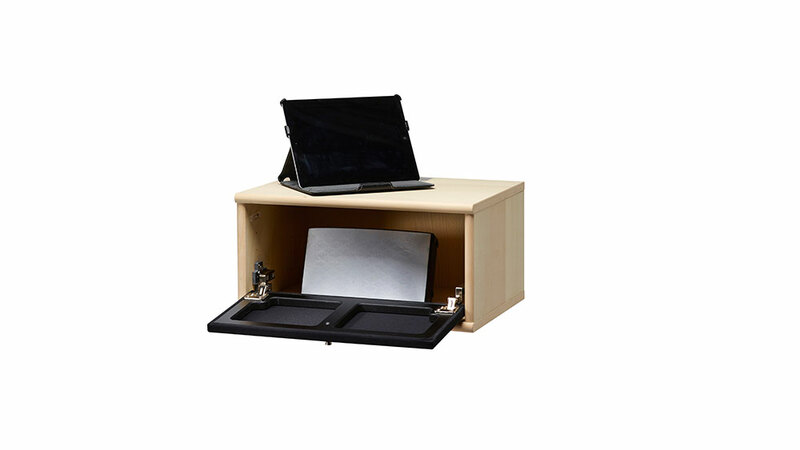 mat lacqued oak veneer, white laminate, light grey laminate and in graphite laminate (anti finger print). Solid legs in whitepigmented matt lacqured oak. Extionsleaves can be purchased. Desk no. 301 with trays No. 172 in whitepigm. oak matt lacq. 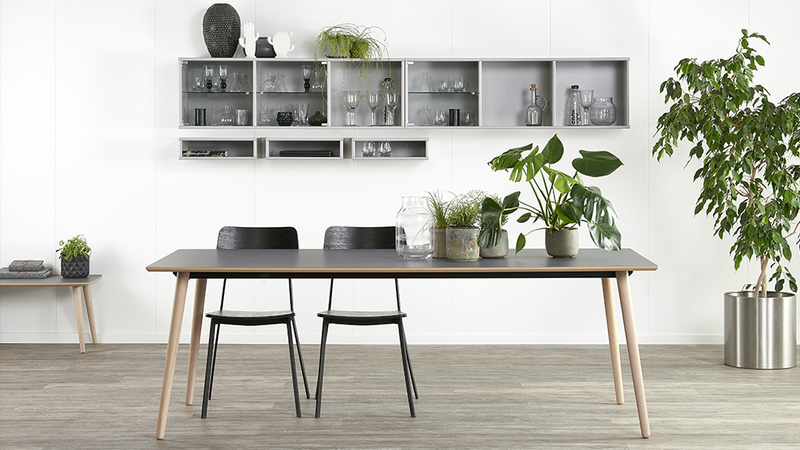 MISTRAL has been something special since Danish designer Lone Sterner Nordam started creating her first items of furniture in the 1990s. 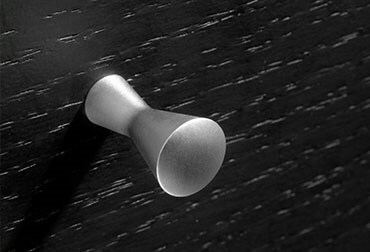 At the start of the new millennium, architect Jacob Jacobsen designed a new conic and iconic handle. Under the name of MISTRAL, it now symbolises everything that differentiates MISTRAL from all the others. It is important for us to keep the production in Denmark; only that way we can ensure a high quality and stadard, which we can be proud of! We pay respect to the enviroment in close cooperation with our suppliers in order to be able to produce as green as possible. For exampe our chipboards consists of approx. 70% recycled wood and we use water based UV lacquer without formalhyde. 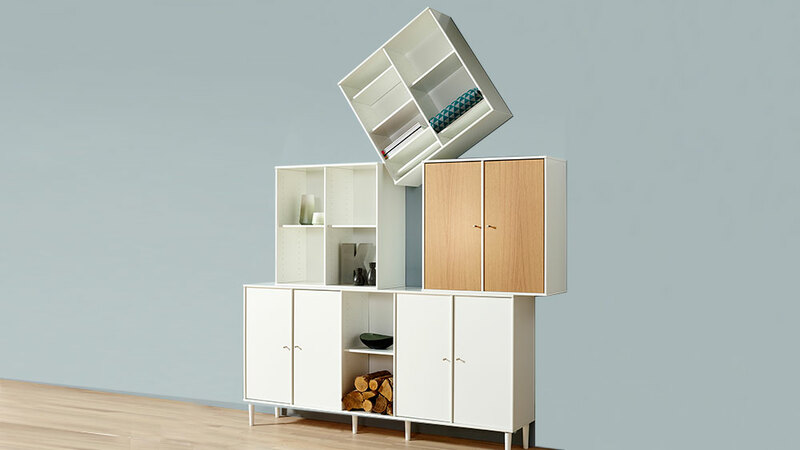 It is easy - all the cabinets are delivered assembled, you only have to add doors, drawers etc. All the products are checked by hand by Hammel's skilled and qualified employees. Hereafter your MISTRAL are shipped to a shop near you. 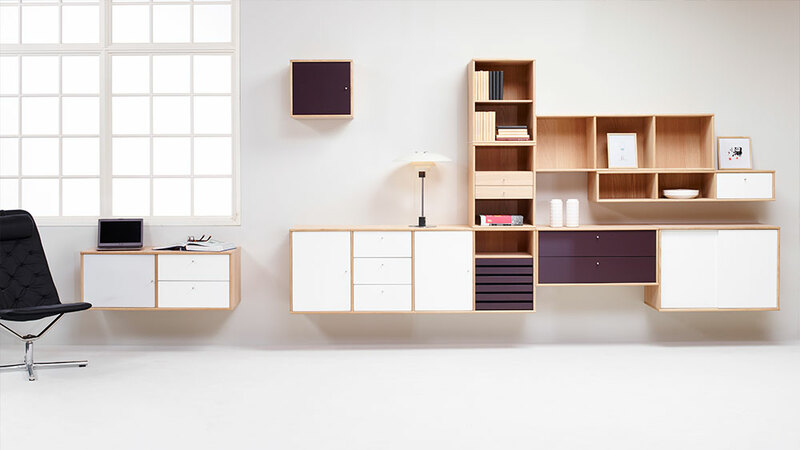 MISTRAL is produced by Hammel Furniture A/S. 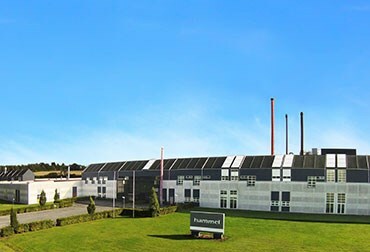 Vi manufacture and assamble all our furniture in Denmark. 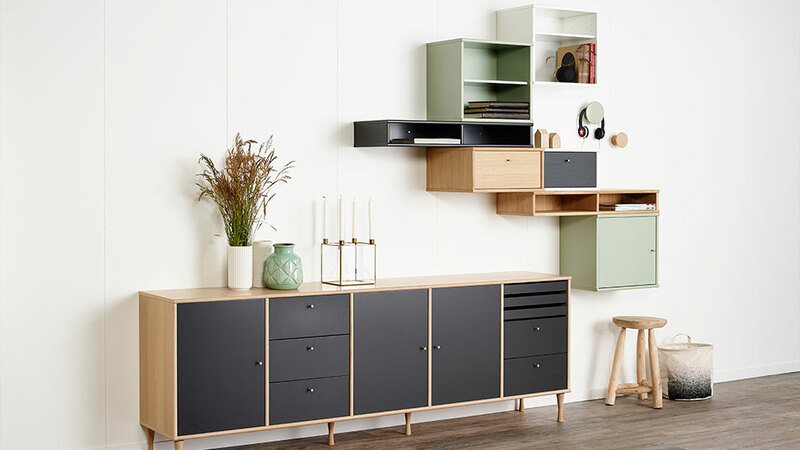 This means that everyone who owns a piece of MISTRAL furniture is assured danish design, genuine craftsmanship and is guaranteed a creativity in all details and materials - assembled by creative craftspeoople. 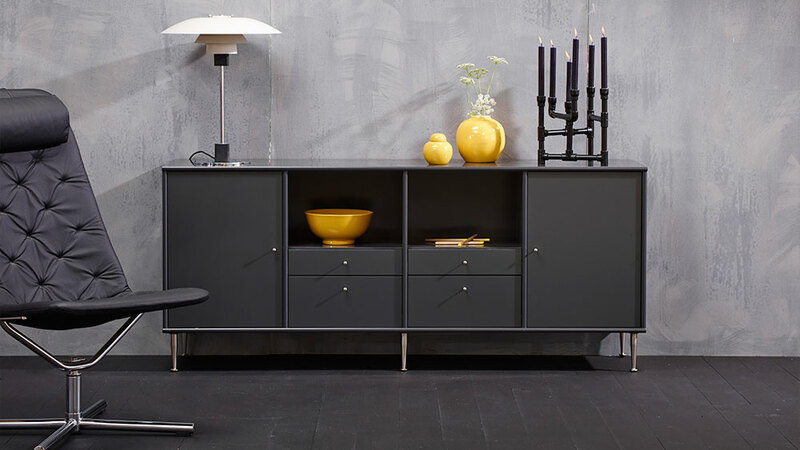 You can read more about Hammel Furniture at www.hammel-furniture.dk. Like our Facebook and see all the news before anyone else! Here you will also find happy moments from our everyday at Hammel. the latest news from Mistral.